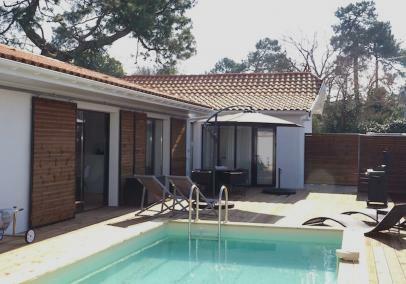 This apartment is an excellent example of the smart, contemporary holiday accommodation now available in Aquitaine. 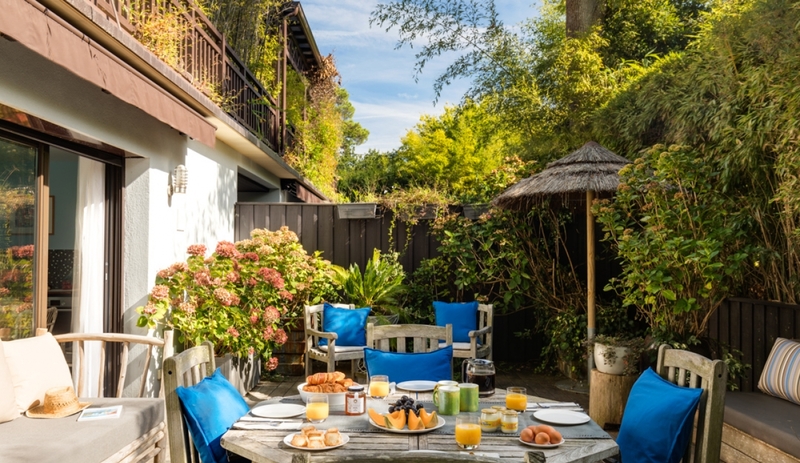 Although Cabane Bleu is tucked away in a small group of apartments in one of the most desirable quartiers of Arcachon, Le Moulleau's local beach, cafés and restaurants are just a five minute walk away, as is its superb 100 year-old chapel. It's easy to get about by bike. 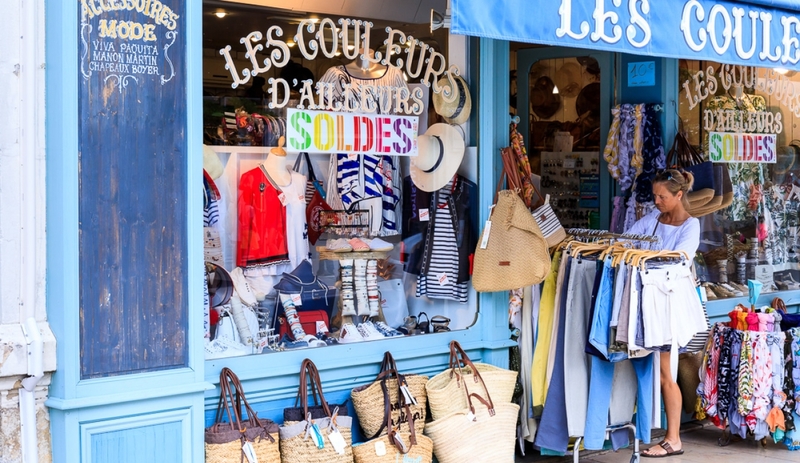 You'll find several very good restaurants along this stretch of coast, or by hopping on the foot ferry over to Cap Ferret. All in all, a lovely, relaxing place to be. 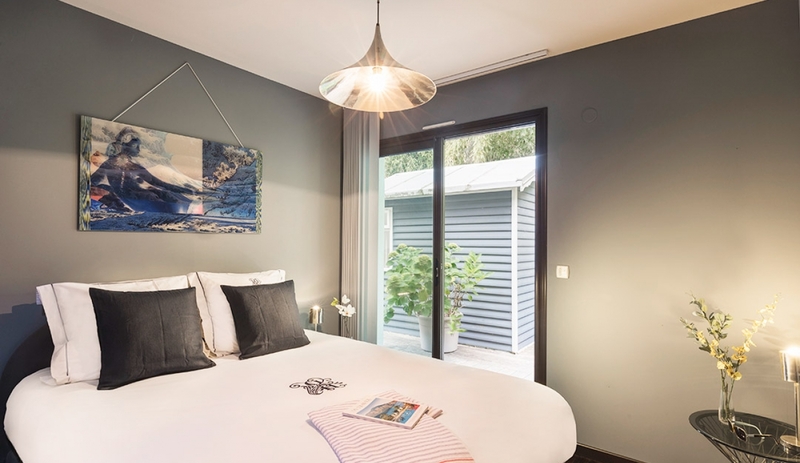 Couples or families (especially those with younger children who will enjoy the sheltered beach) wanting the convenience of a car-free holiday, whilst retaining a very good standard of accommodation. Toddlers - suitable local beach; cot & high chair available. Teenagers - area is good for teens wanting independence, many activities nearby. Reduced mobility - apartment is on the ground floor. No. 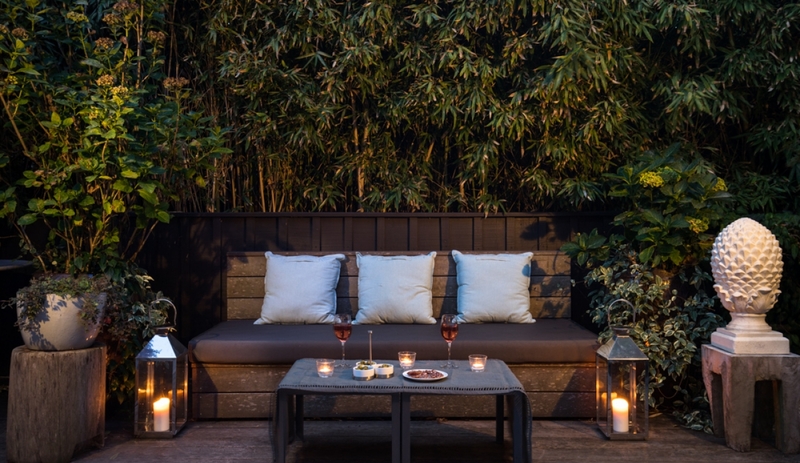 These are apartments so neighbours are close by, however they have been arranged in a way so as to give each apartment as much privacy as possible. 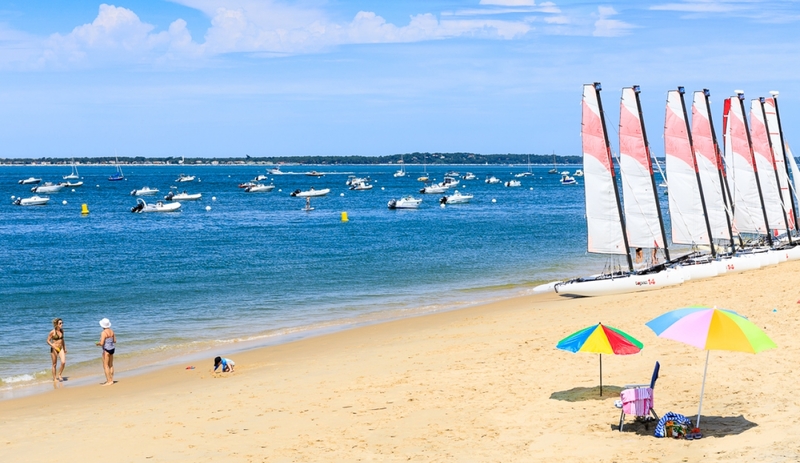 Le Moulleau is a chic beachside district 4 kms south of Arcachon proper, famous for its beautiful 19th century villas. 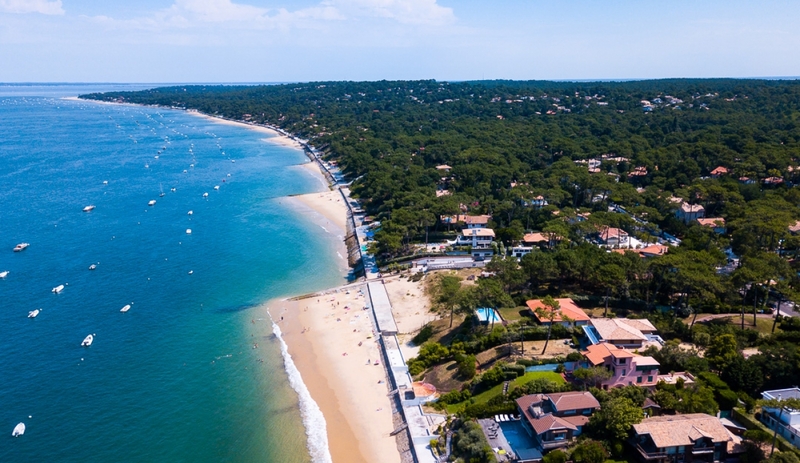 There are a some excellent restaurants nearby, cycle paths for exploring the area, the famous Dune de Pyla, ferry trips around the Arcachon Bay or over to Cap Ferret. 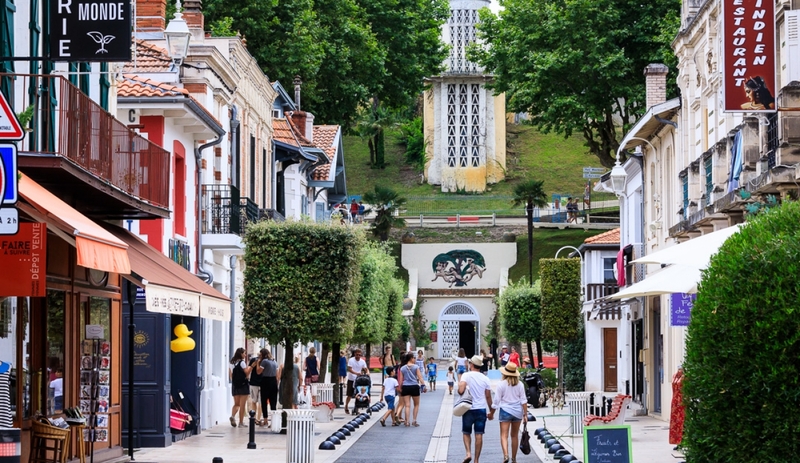 Arcachon itself has a good selection of bars, seafront restaurants, a small casino and the plus of being reachable by train. 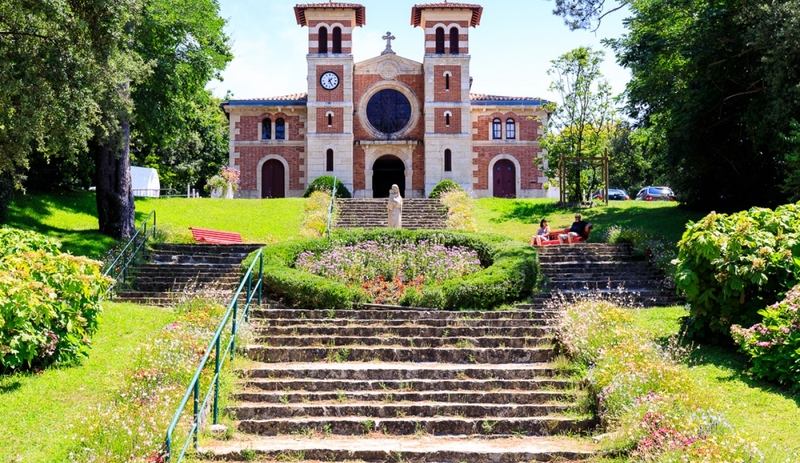 It's a lovely, distinctive area of south west France. 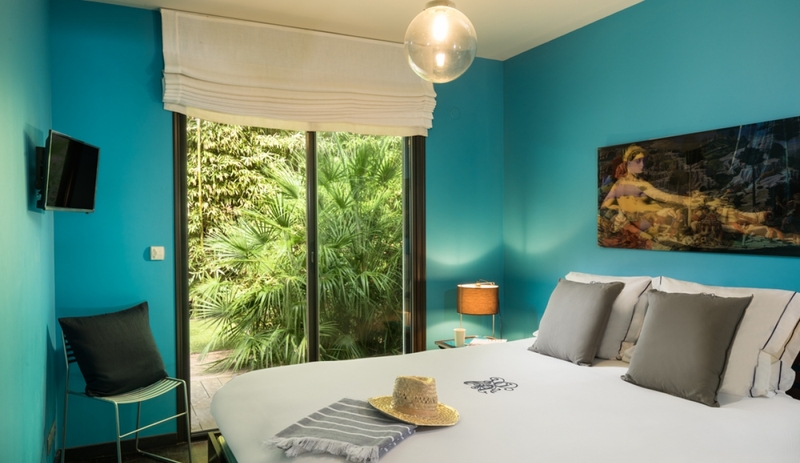 Cabane Bleu is a prime example of the French owner's flair for original and distinctive interior design. 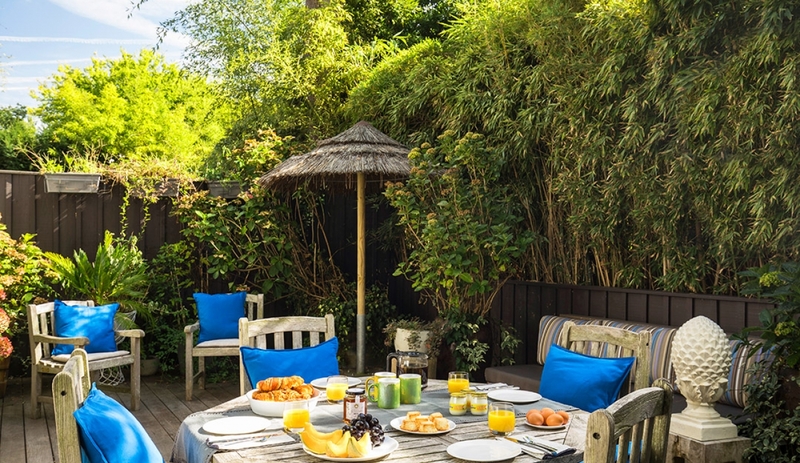 High quality, stylish furnishings and equipment have been used throughout and the beautiful, exotically planted garden gives plenty of space to relax, away from the buzz of Arcachon's busy shops and restaurants. 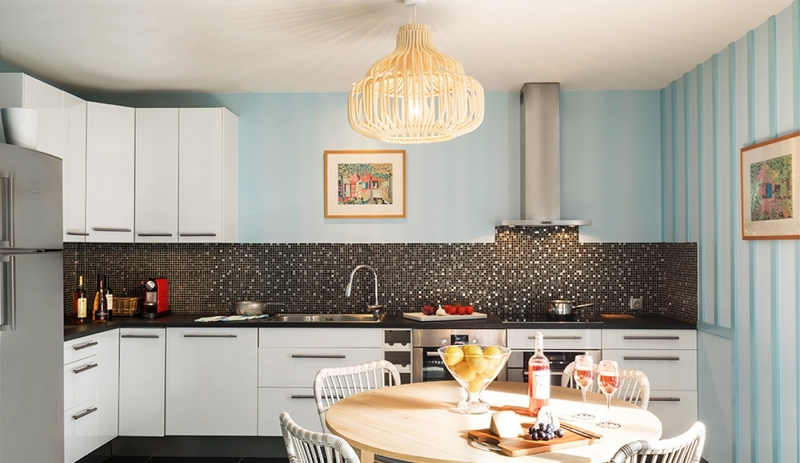 Sleeping 6 people, the apartment has a spacious living area, with well-equipped open-plan kitchen including cooker, microwave, steamer. dishwasher and washer/dryer. 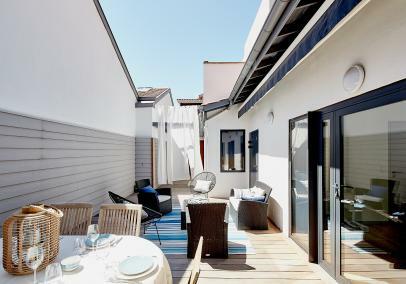 Sliding doors lead out from the living area to the 40m2 terrace, complete with garden furniture and plancha. 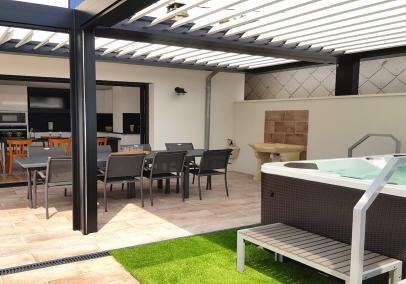 There's even a hot tub, to guarantee complete relaxation on your holiday! 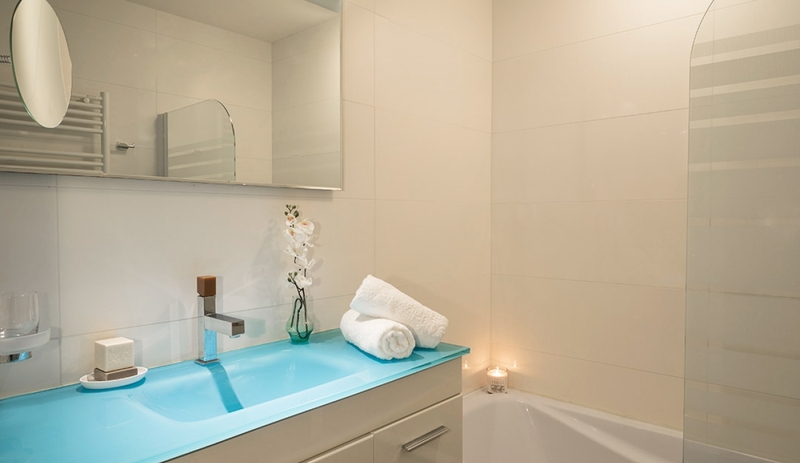 The ground floor accommodation comprises 2 double bedrooms (160cm x 200cm beds), bathroom with a bath and overhead shower, and a WC. 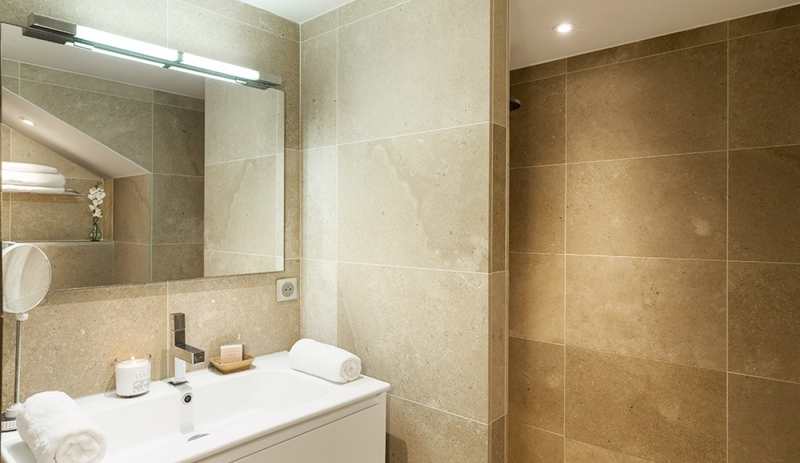 The lower ground floor has a further double bedroom, with an en-suite and walk-in shower. 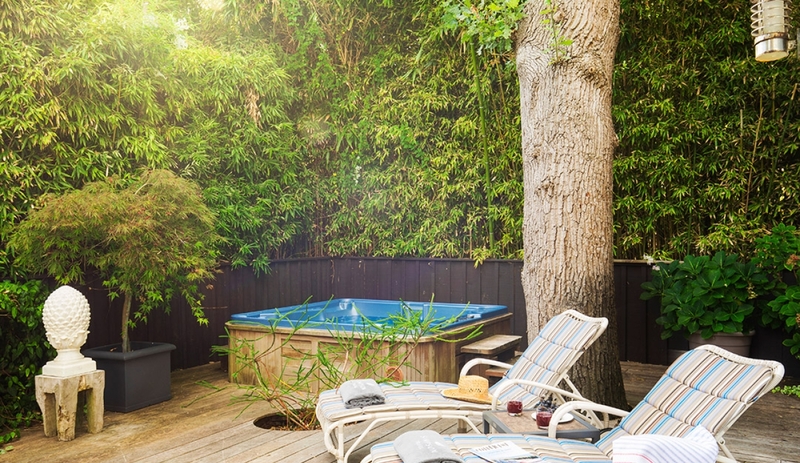 In addition to this, there's also a cabin/summer house in the garden, with bunk beds. The apartment additionally offers off-street secure parking. 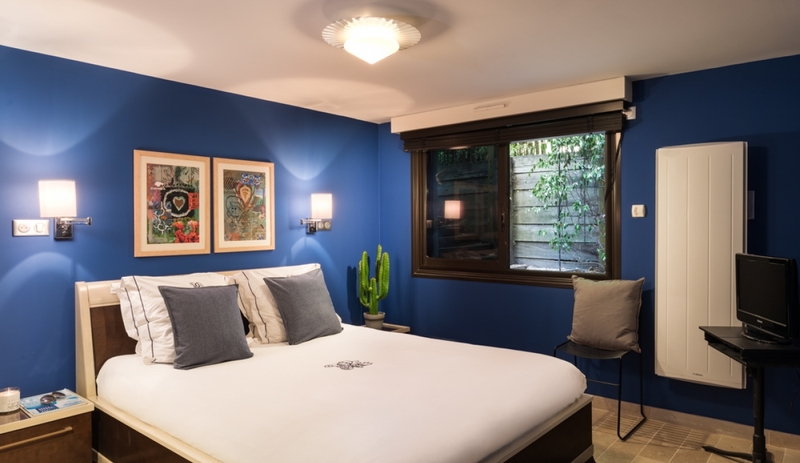 Cabane Bleu is an ideal place to enjoy a unique corner of Aquitaine, in style. 3 doubles; extra set of bunks in the garden cabin. 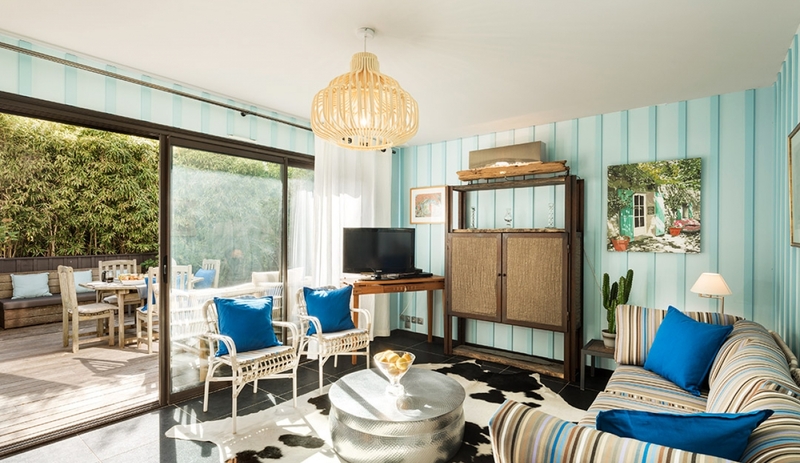 The apartment is located in a quiet residential street about 400m from the beach and centre of Le Moulleau, where there are a few shops and a couple of cafés & restaurants. 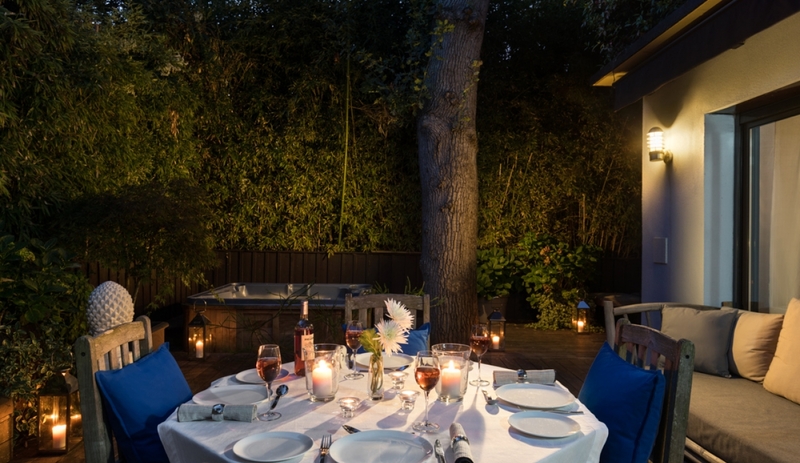 The area has a relaxed, upmarket feel. 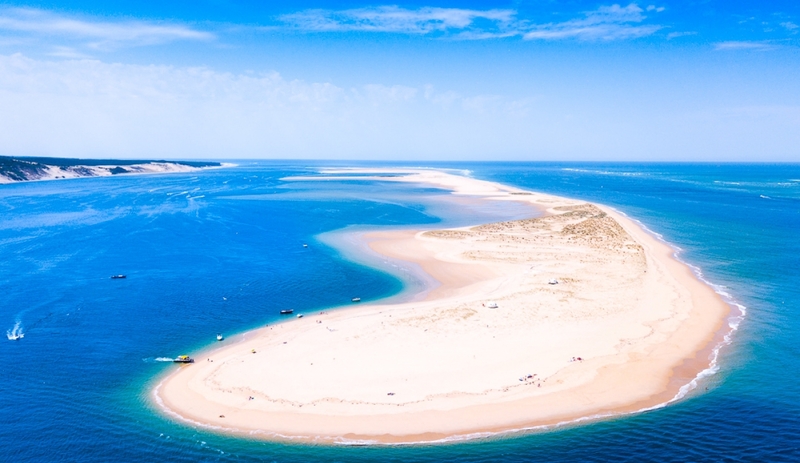 The Dune de Pyla is 5 kms to the south, Periere - another lovely little area - 1 km north, while Arcachon proper is 4 kms north, all easily reached by bike or a summer shuttle bus service. 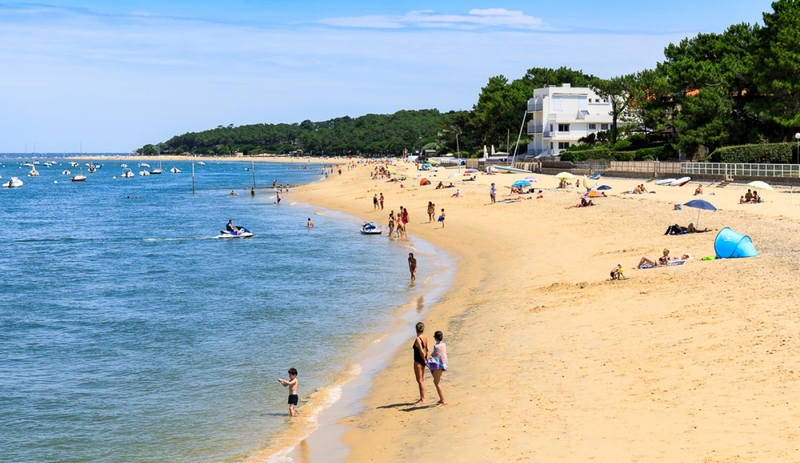 Cap Ferret is 3 kms across the bay by foot ferry or water taxi.